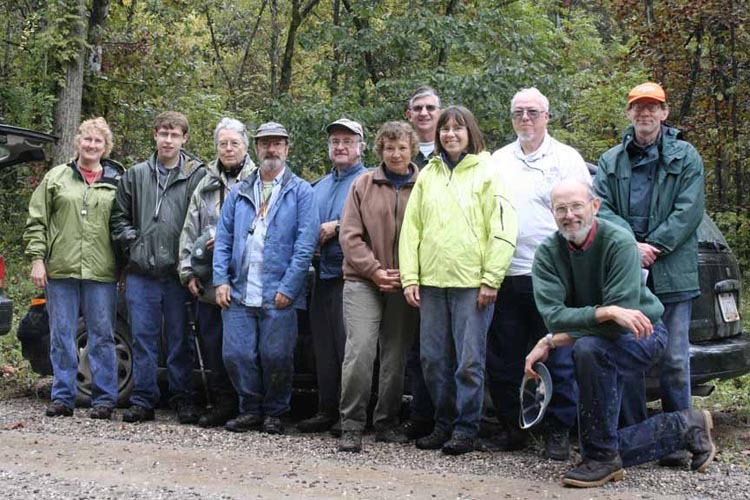 The group met in Athens on Saturday and traveled to Acadia Cliffs State Nature Preserve. This area contains outstanding moist to dry sandstone habitat and is one of the few locations in Ohio where the rare fern, Bradley’s Spleenwort (Asplenium bradleyi) can be seen. 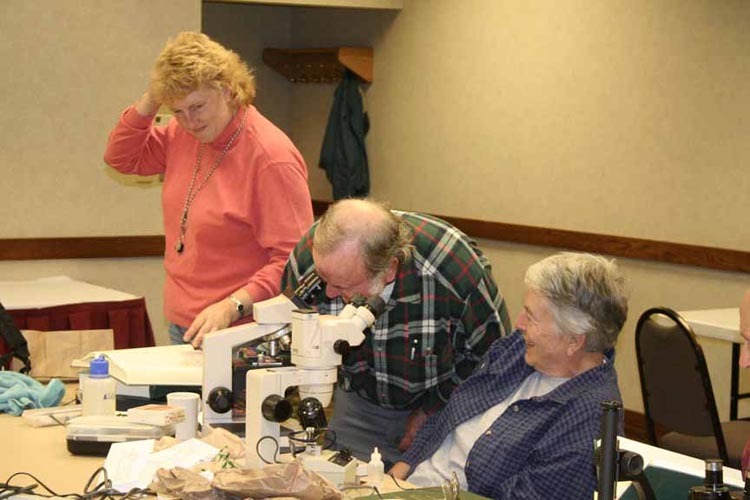 After collecting in the morning and early afternoon, the group traveled to Marietta to set up the microscope room in the Holiday Inn. 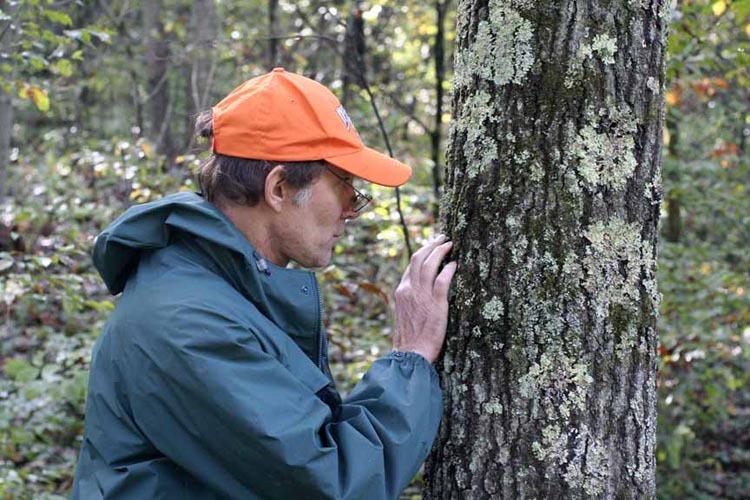 A total of 44 species of macrolichens and an additional 10 species of crustose species were identified from this location, including 19 new county records, and one new state record (Canoparmelia amabilis). The next morning the group set out for Boord State Nature Preserve, which features a sandstone gorge with a waterfall and hemlock forest. 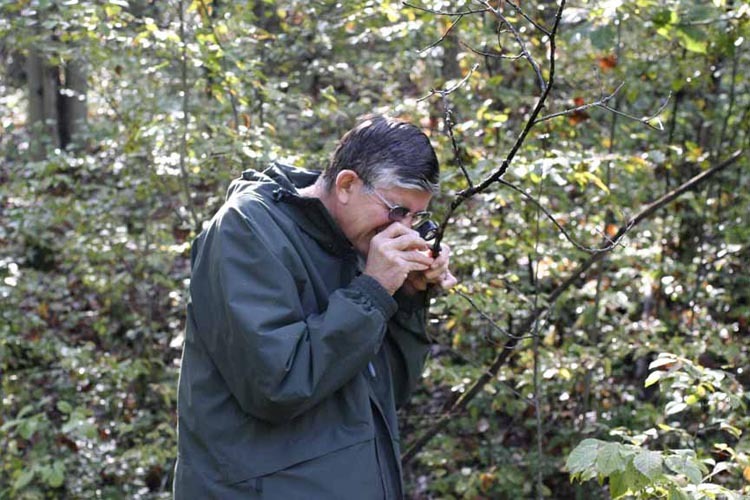 Although mostly too shady for a rich lichen community, 20 species of macrolichens and 9 crustose species were observed. A full listing of all lichen species encountered during this foray can be found in the January 2007 issue of the OBELISK. Ray examining on of the 44 species of macrolichens observed at Acadia Cliffs SNP. 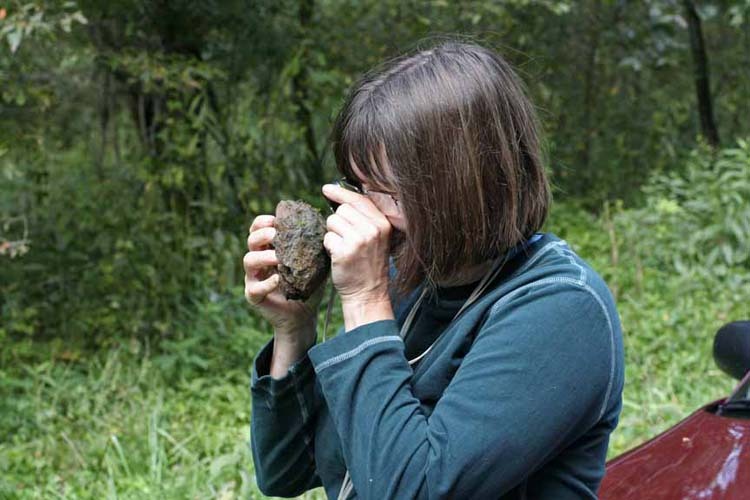 In her pursuit of rare mosses, Janet leaves no stone unturned! Not only can moss identification be challenging, but it’s also a lot of fun! 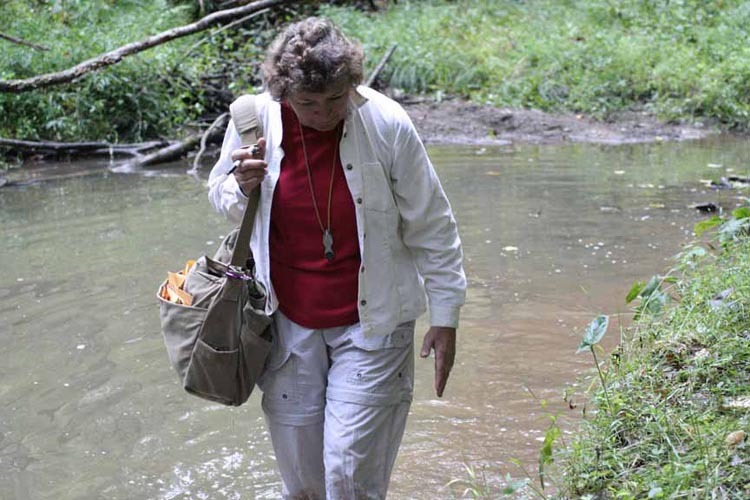 Barb disproves the theory that bryophyte diversity is higher in areas of flowing water. Dave was only stunned momentarily by his encounter with a decidely non-cryptogamic life form. Another excellent foray comes to a close!